Make it even more special. Anniversaries are a significant special day for any love birds, a magical day each year you get to celebrate together. A limo will simply make it an even more beautiful aura of awe. Every single day that you and your precious partner spend together is special and a gift in itself. Think of all the amazement that they have brought into your lives, you know they deserve a dream treat. 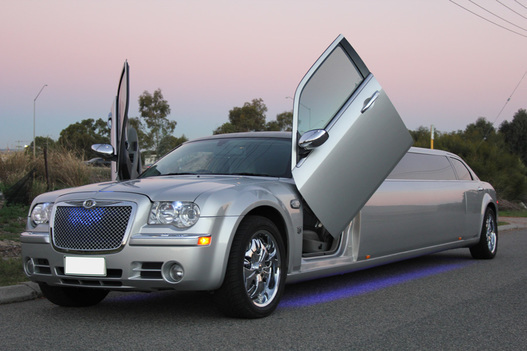 Why not show your abundant appreciation and affection by gifting them with a ravishing limousine ride that will sure to bring a smile to their face with the overwhelm of joy. Love, light and laughter are exciting emotions that are sure to fill the air when sharing in each others complete company wherever the Perth Limo Experience may take you. A romantic scene will be set with the privacy for you to connect with each other and enjoy in the moment. An anniversary you will want to relive over and over. After all it is your special day, not ours. It is our desire to serve you the best we ultimately can and we take great pleasure in being able to do so. To ensure the day is nothing but hassle free smooth sailing, our polite, professional and polished chauffeurs will be on time with limousine doors open awaiting you. There to help to make your day as delightful and damn dreaming as desired. Perhaps you would like to take in the sweet smell of freshly cut red roses, taste ice cold Chandon champagne bubbles or indulge in the richness of sweet succulent strawberries or quality crisp chocolate. Make any request you would like that you think would make your day that even bit more spectacular and we will be sure to have something arranged for you two love birds. Allow us to make your special day together that much more momentous whisking you both off your feet and driving you off into the night. A limousine is a sure way to rekindle any spark that is lost and ignite it into one that is burning with blazing passion. A memorable night will be had on the streets of Perth. So, when you and your lovely partner in crime are ready to hit the streets rolling together in pure bliss, then simply contact us and orhanise the hire of heaven.